Slovenia recently became the first country to be awarded the status of European Region of Gastronomy, and we sat down with the General Director of the Slovenian Tourist Board, Maja Pak, to find out exactly what this means. What is European Region of Gastronomy? The European Region of Gastronomy (ERG) is a network that was developed by the International Institute of Gastronomy, Culture, Arts and Tourism (IGCAT) experts, and it has been endorsed by various European institutions. It includes a platform and an award, too. The ERG Award provides credibility for regions, that they have developed sufficient gastronomy related projects and programmes to merit holding the award. It is proven by an independent and international panel of IGCAT experts, chosen by IGCAT’s board, and it includes experts from different fields of competence such as tourism, culture, hospitality and agriculture. The experts are not only charged with assessing the regions’ bid to hold the award, but also to support and nurture them in order to ensure that they are ready to undertake the challenges outlined in their application. The award’s aim is to contribute to a better quality of life in European regions by highlighting distinctive food cultures, supporting local economies by stimulating public and private sector funding potential, educating about healthy living and sustainability, stimulating gastronomic innovation, creativity and smart growth, building regional identity by giving visibility to traditional food ways etc. Up to three regions per year are selected to be awarded with the ERG title and to become members of the network after presenting their application and being inspected by the international IGCAT experts. We are very proud that Slovenia is the first country in Europe to have obtained the ERG title; previously, it had only been conferred on various regions. Why was Slovenia a compelling candidate for the distinction? One of the reasons that Slovenia has obtained the official candidacy first and then the title of European Region of Gastronomy 2021 was the strong commitment and wide range of 16 different stakeholders that are taking part in the project with the aim to collaborate and to realise the long-term strategy with the objective of enhancing the quality of life, education in the field of healthy and sustainable living, and the sustainable development of gastronomy. The IGCAT experts that inspected Slovenia in July and met all the stakeholders were impressed by the gastronomic achievements of Slovenia and its commitment and the implementation of various activities regarding sustainable development in cooperation with different partners and with the involvement of the inhabitants. The jury acknowledged that a lot of positive work had already been undertaken regarding the gastronomic strengths in the country and the dedication to sustainability, and that the ethos and quality of food production are very high. It was also surprised by the pride and passion that everyone shows in the appreciation of the land and by the ability for self-sufficiency. The jury expressed its strong belief that the title of ERG 2021 will only help Slovenia in its quest to become world renowned - not just as the great green country but also for its gastronomy, sustainable tourism, food education and quality food supply. 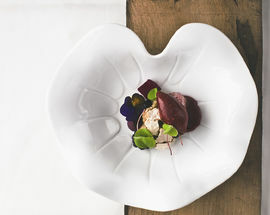 What makes Slovenia a top international destination for foodies? Its culinary diversity on just 20,273 km². There are 24 different gastronomic regions, 3 wine regions and an impressive range of 365 typical local and regional dishes and beverages - everything shaped and developed thanks to the geographical peculiarity. Slovenia is the only country in the world to connect the Alps, Mediterranean, Karst and Pannonian Plain. Being at the heart of Europe, it's where different cultures meet: Germanic, Romance, Balkan, Hungarian. So, different influences have shaped gastronomy, too. Slovenia didn't go through violent industrialisation, so the respect for the nature and some traditional ways of cultivating have also remained. 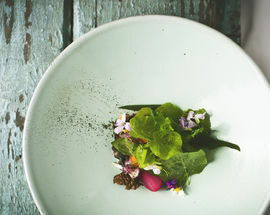 So in Slovenia the dishes are made of fresh local ingredients that are part of green supply chains, too. They can be prepared by top chefs in fancy restaurants or by grandmothers on tourist farms. Wherever you are in Slovenia, you can find an unforgettable culinary experience. In that, the innovative chefs who work on the basis of tradition, play a key role. How does gastronomy fit into STB's larger Green. Active. Healthy. initiative? “All the tourists eat,” said one of my colleagues. But it is important what they eat. Gastronomy is definitively one of the most important elements in what a country has to offer to its guests as well as the locals. So, gastronomy has been defined as one of the ten leading products of the Slovenian tourism. It has been incorporated in various marketing and promotional activities by the Slovenian Tourist Board for over 22 years now. Gastronomy can contribute a great deal to the promotion, visibility and reputation of the country and its tourism. Slovenian tourism is developing five-star experience products, based on the principles of the sustainability and efforts to be and stay sustainable. Gastronomy plays a key part in it. 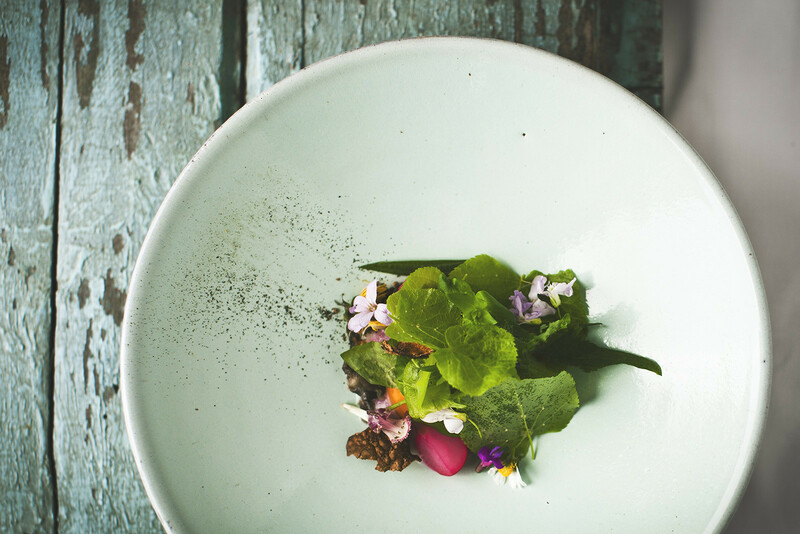 What challenges does Slovenia face in becoming a globally known gastronomy destination? Slovenia is interesting destination with exquisite gastronomic experiences, but it has to attract the tourists for whom the gastronomy is the primary reason for visiting. To achieve this, interesting products will have to be developed, and associated with others – like cultural offerings or programmes of active holidays or city breaks. We’ll need more Ana Roš type personalities, who will build strong images abroad. 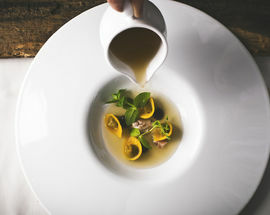 More personalities and more products give the Slovenian Tourist Board more material for the up-to-date promotion of gastronomy, which has already been done with Ana Roš and other chefs. For example, we use the principles of the content marketing, with promotion is made on social media; we collaborate with the international foodies etc. We welcome the arrival of the Gault & Millau guide in our country and we know that the ERG 2021 title will help to grow our image as a globally recognisable gastronomic destination, known for local natural products, excellent wines, creative chefs and boutique experiences. In terms of gastronomic tourism, where does Slovenia have the most potential for improvement? Gastronomy and tourism can influence and improve the quality of life of both locals and visitors alike. Gastronomic tourism gives us the opportunity education everyone about healthy and environmentally friendly living; it highlights the importance of nutrition for one’s health; it can contribute to sustainable development of the country; it supports local self-sufficiency; it connects rural areas with the urban environment; it supports small- and medium-sized enterprises; and it creates synergies with different stakeholders. Gastronomy is an important facilitator of local and country development in the fields of economy, culture, education, social relations and environmental protection. And it gives us excellent opportunities for inter-sector connections in relation to production of food and wine, hospitality sector, tourism, culture, health, principles of sustainability, etc. 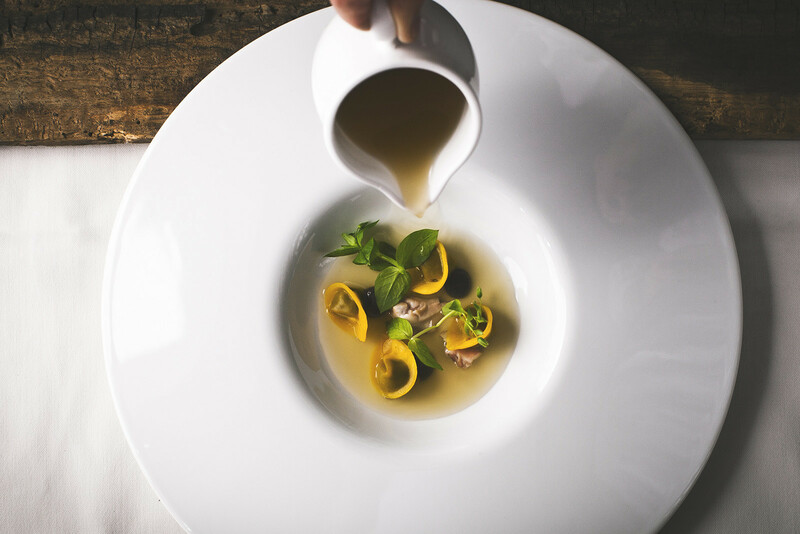 How important are Slovenia's increasingly well-known chefs and other gastronomic ambassadors? 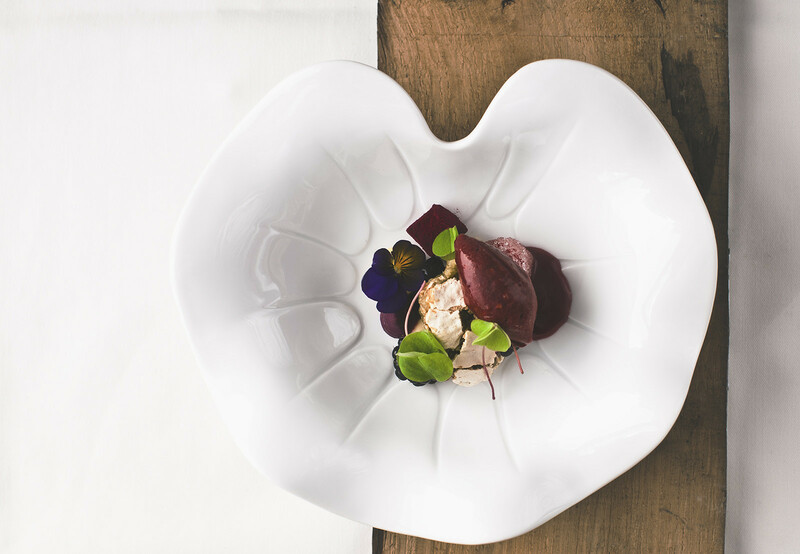 The chefs’ and wine makers’ achievements, as well as those of other ambassadors, contribute to Slovenia’s recognisability as an increasingly attractive gastronomic destination. They attract the most demanding gourmets and attention of the international media, who are impressed by the authentic creativity and excellent quality of the ingredients and final products. Slovenian winemakers have already won many different medals and awards, and I hope that more chefs will start to attend the international conferences and different events and increase their activity on the social media to be even more visible internationally. Slovenia has some 365 local regional dishes and drinks. Any personal favourites? I enjoy modern dishes, based on local ingredients and chefs’ creativity, and of course the traditional ones too. Bograč stew from Prekmurje is great to warm you up on winter days. When you are in a hurry, the Carniolan sausage kranjska klobasa, accompanied by freshly made bread and hot horseradish, is a solution to have something filling. When it comes to lighter dishes, a perfect choice would be Piran sea bass or Soča trout, flavoured only by olive oil from Slovenian Istra and Sečovlje Salt Pans Fleur de Sel. For dessert, my favourites are Ljubljana cottage cheese pancakes with tarragon or a slice of good potica cake. Since almost every family in Slovenia has their own recipe for potica cake, it's always a pleasure to taste it when you pay a visit to your friends, neighbours or relatives during the holiday season, when it is a must on the table. You can find amazing dishes and wines everywhere in Slovenia, and I always enjoy it when I discover something new and different. Slovenia gastronomy in 5 words? Top chefs, local, diversity, creativity, tradition. You can read more about the International Institute of Gastronomy, Culture, Art and Tourism and their European Region of Gastronomy project here. 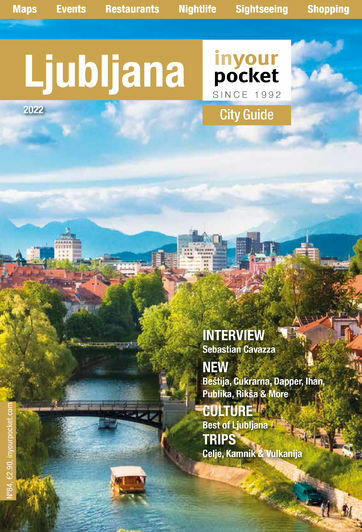 And more about the Slovenian Tourist Board and its work here.